An article in the October 2017 edition of the New York Times, entitled No Excuses, People: Get the New Shingles Vaccine, grabbed my attention. Also known as herpes zoster, shingles is a virus that older people should avoid. The name zoster is the Greek word for girdle or belt. This name was given to it because the rash is often in a strip or small area of the body. It normally only occurs once in life, and is most common among people who have already had the chickenpox virus, or those with weakened immune systems. Even if you have had shingles, you can still receive a vaccine to help prevent future occurrences of the disease. There is no specific length of time you must wait after having an outbreak before receiving the vaccine, but generally you should make sure the rash has disappeared before getting vaccinated. The decision on when to get vaccinated should be made with your healthcare provider. Zostavax, the vaccine that most people have had in the past, is recommended for people over 50 and only prevents about half of shingles cases in those over age 60! Furthermore, protection from this vaccine lasts about 5 years, so adults vaccinated before they are 60 years old might not be protected later in life when the risk for the infection and its complications are greatest. Now there’s Shingrix. Large international trials have shown that the vaccine prevents more than 90 percent of shingles cases, even at older ages. “This vaccine has spectacular initial protection rates in every age group. 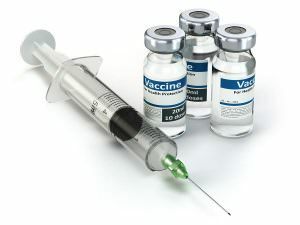 The immune system of a 70- or 80-year-old responds as if the person were only 25 or 30.”(NYTimes) “This really looks to be a breakthrough in vaccinating older adults,” agreed Dr. Jeffrey Cohen, a physician and researcher at the National Institutes of Health. Prior to acting on any of the suggestions or information above, one must conduct due diligence and consult a healthcare professional.